At the Vanport Mosaic Festival, former residents of what was once Oregon's second-largest city—destroyed by a 1948 flood—tell their stories. 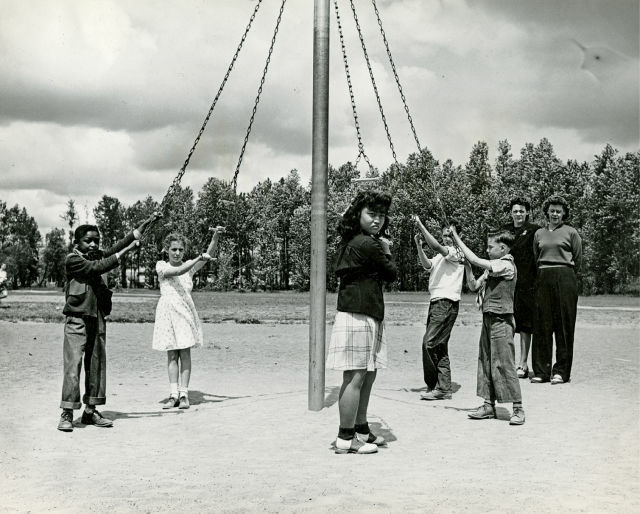 Quick: if someone mentions Vanport, what’s the first thing that springs to mind? Chances are you think of the 1948 flood that wiped out Oregon’s second-largest city. And that was a catastrophic event, displacing more than 18,000 people, one-third of them black. My background is in journalism and multimedia production. But I always felt uncomfortable with the power dynamic in the interviewing process and the responsibility of interpreting someone else’s story and portraying their experience. I became very interested in incorporating participatory practices, so for the past 10 years I’ve been experimenting with different ways to support others in telling their own stories, letting them take the lead in how they want to represent themselves in their own communities. I’ve been designing projects to create a space for these silenced histories, these personal stories. I decided to call myself a story midwife to show I’m not the one telling the story, but the one supporting a process that sometimes is painful, to deliver and bring these stories to life. 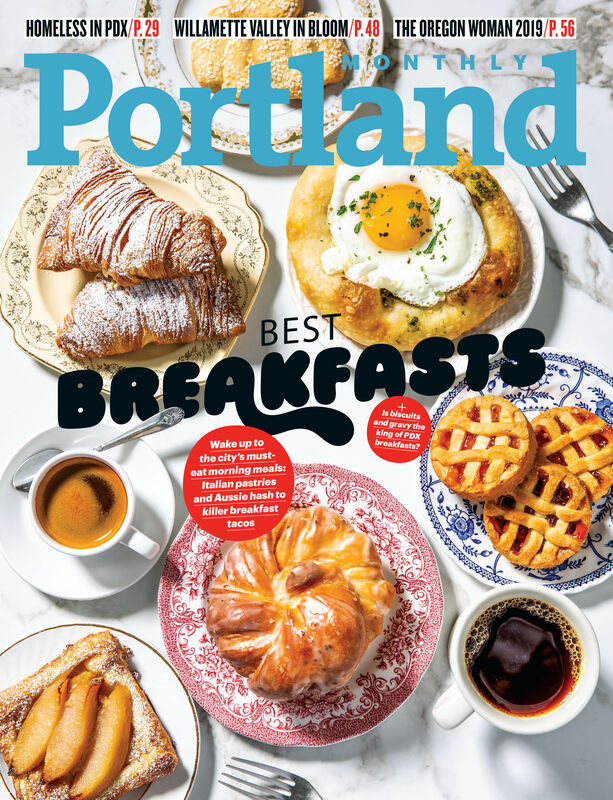 I moved to Northeast Portland from New York three years ago, without really knowing anything about this area. I’m originally from Italy, so coming from a very homogenous country, I enjoy seeking out diversity wherever I live in the United States. And then I end up Portland, of all places, which is so white and homogenous. My first question was, why is that the case? In my research, one of the very first things that came up was Vanport. It became very interesting to go deeper and deeper into this piece of history, which impacts the way the city is today. What I’ve been doing with this project is to offer free workshops for anyone interested in exploring this story. We’ve had all kinds of people attending, from people with ties to Vanport, to educators, historians, other media makers, and just people interested in local history. How did you go about finding and interviewing former Vanport residents? 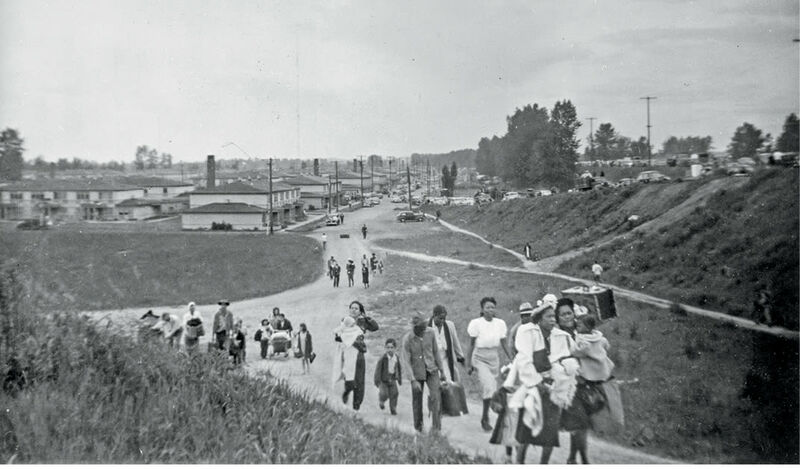 People felt initially resistant—there have been many projects, and this is certainly not the first oral history about Vanport. But the problem is that people came, interviewed, transcribed, and put the stories in some archives. The stories never came back. The community doesn’t really benefit, or even understand what it means to share something so important and personal. So there was an initial mistrust. But because of this participatory framework, I very intentionally invited and sought guidance from community members. When we produced the first group of stories and shared them back in a very celebratory and exciting way, it became evident that this was a different project. This project is not about taking stories. It’s about sharing them, honoring them, celebrating them. What happened is that stories started to emerge that were beyond the flood. As outsiders, the flood might be the most interesting thing. But when you create the space, people want to celebrate their communities, so the stories started to become about relationships, and culture, and what they built, and why they moved to Vanport. It became such a rich mosaic. Initially, too, the focus was on the black experience, but we’ve been able to capture a broader range. We captured a Native American story; we captured the memories of a Japanese lady and a veteran coming back from the war and attending Vanport College. It became more diverse in terms of the voices. Can you tell me about a few of the stories you heard? So many! Through this process about 30 stories have been produced, and there are more people waiting to be interviewed. We interviewed Ed Washington, who has been interviewed many, many times. And every time, people ask him about the flood. He’s an amazing storyteller, so he tells the story in such a compelling way. But the interview was done by someone from the community, and the questions were also about his memories as a child in Vanport, especially as a black child. He talked about remembering the black soldiers coming through on the trains—he could see the trains stopping on the hill in Vanport, and the black kids would go and be so happy to see black soldiers, because the trains were segregated. And he talked about how his family ended up in Vanport because black people were not welcome anywhere else. There was a white lady, Anna Donner, who gave an incredible interview in such an honest and brave way, pretty much saying how she was raised by racist parents. 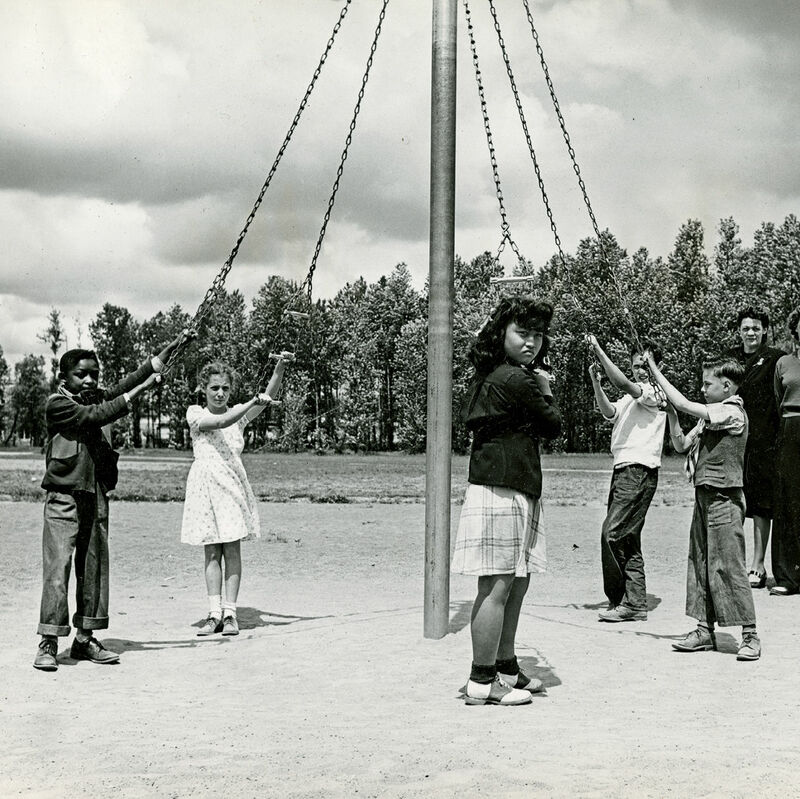 But as a child in Vanport, she became friends with black kids. Her best friend was a black kid, and she hid that from her parents. This friendship changed the way she saw people. She kind of got out of this cycle of racism through her personal relationships. Janice Okamoto, who is a Japanese-American survivor, talks about her parents building a life in Japantown, and saving up to build this laundry business. And then their evacuation was ordered, and they get interned and sent to Minidoka, and then they came back to Vanport, and then they lost everything again. It is absolutely heartbreaking. It’s not just a flood. It destroyed something that people built. What was the impact on workshop participants? The workshop participants understand the responsibility of telling other people’s stories. They gain a new appreciation for listening to each other. You interact with people you never get to see normally. Where are the elders? Nobody looks for them. It’s amazing to go to their homes—they serve you coffee or tea, and you become kind of part of the family. They call you, you call them. There’s something really beautiful about that, especially in a city where you need to do that intentionally. It doesn’t happen that often that you talk to someone of a different race. It’s a very segregated city. This is something that allows people to get to know each other in such a safe way. And the impact on interviewees? I think what’s happening is they are finally getting their experiences validated. I think there’s some sense of closure, a feeling that they matter, that they are part of history, that they’re important. There’s something really beautiful in seeing yourself being seen and being recognized and being loved by a community, by a city that doesn’t really send that message. With all the oral history projects and research that’s been done, the missing piece is returning the story to the community where it belongs. I think there’s something beautiful that happens when you see your story reflected and mirrored in these stories that are really celebratory. Families are very excited to have their loved ones interviewed, especially those in their 80s and 90s. We constantly get phone calls from family members saying, “My mom has cancer; she wants to record her memories; can you do it?” We had a family who interviewed their loved one and then she passed away. This has become a beautiful family project—people have this piece of history for their own family that’s been captured and preserved. The Vanport Mosaic Festival runs May 27–30.